In the continuously changing IT infrastructure, it is important for a system administrator to know if and when a file structure is changed. Such a change can stem out of a regular code release, or can be a malicious file update caused by viruses, spywares or root-kits. This calls for a detailed file update monitoring and logging. Tripwire is an open source tool available for all Linux distros just for this purpose. It detects and reports any unauthorized changes to the files and directories. Now let's understand in details how the tool works, and the methods to install and use it effectively. At a high level, Tripwire works on a "sample and compare" way. When Tripwire is installed and run for the first time, it scans the entire file system, to create a database. This database contains information about file structure as well as date and time stamp and other vital parameters for each file. System binaries as well as user application files are scanned and their information is stored in the database. At this point Tripwire enters into a monitoring mode and keeps a watch on every file access and especially the update. Each update is compared with the referential database, and intelligent actions or alerts are generated out of it. Tripwire monitors and detects file additions, deletions, updates etc, and also watches for files attribute changes. If the changes are legitimate, the administrator can update the tripwire database to accept these changes. The contents of this baseline database are indeed supposed to be secure. Tripwire asks for a site key, which is a sort of password that needs be entered by administrator while installing tool for the first time. Though this is an optional step, it is highly recommended to do so. This site key encrypts the database and decrypts it on the fly, while performing a comparison with file system scan results. During installation phase, the site key resides on the machine itself in a plain-text form, however after installation is complete, it is removed, prompting the installer or administrator to remember it, just like a password. Now let's see how to install Tripwire. Being a sourceforge project, you can download Tripwire from their website at http://sourceforge.net/projects/tripwire. 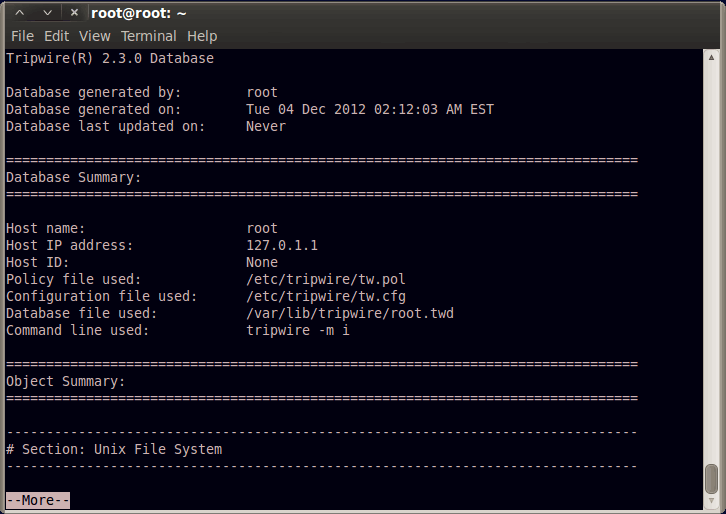 The easiest way to do so on Ubuntu or Backtrack distro, is to run command apt-get install tripwire. Please refer to the screen shot where Fig 1. shows the first screen of installation. It clearly mentions exactly what Tripwire does, and the security required around the site key. 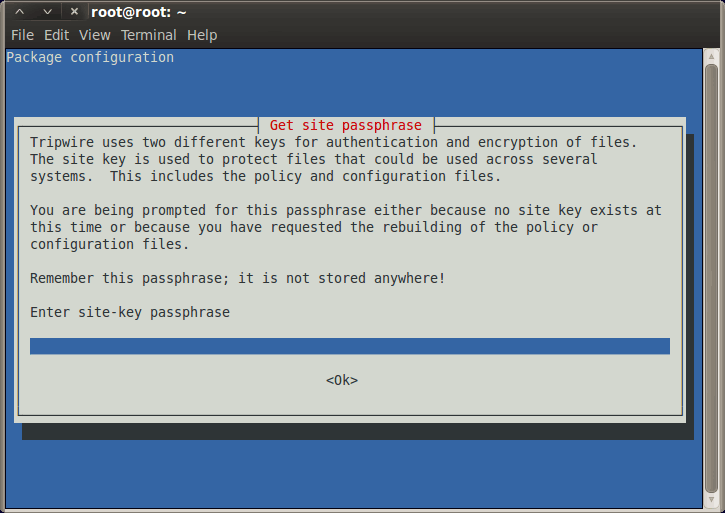 Fig 2. shows screen where the tool is asking installer to enter a pass phrase, which is nothing but the site key as mentioned above. Once the installation is complete, it's important to understand files created by the tool and the command sets. While the man pages explain everything in detail, the table below depicts four commands that every administrator must know. Also mentioned in the table, are three user manual references that Tripwire installation creates, which explains each component of the tool in details with various command line options. Please refer to the man pages of twpolicy to understand powerful setting options. Fig 3. shows screen where Tripwire is run in interactive mode, which also shows the locations of policy and configuration files that can be tweaked by administrators as per their needs.